The votes are in. 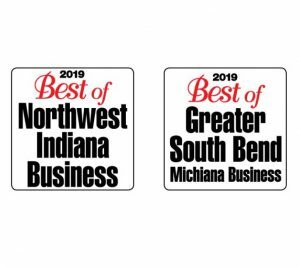 Readers of Northwest Indiana Business Magazine have selected the Best of Business for 2019 in Northwest Indiana and Greater South Bend and Michiana. 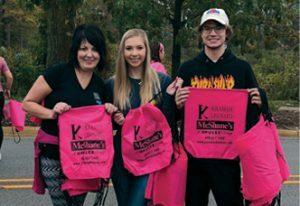 A total of 110 winners in 52 categories were selected by readers, representing the magazine’s coverage area, which includes Lake, Porter, La Porte, St. Joseph, Elkhart, Newton, Jasper, Starke, Pulaski and Marshall counties. These annual awards celebrate the outstanding service of local businesses in the community. Linker said business owners and executives appreciate the recognition for the products and services they provide. To ensure Centier’s continued success, Mike Schrage, bank president and CEO, recognized the importance of being able to adapt to changes in the marketplace. Schrage said that, through the years, he learned how important building a positive culture is for an organization. Helping entrepreneurs realize their dreams is one of the many areas of expertise at Centier. Jerry Tomasic, group sales manager and vice president of business banking at Centier, suggests entrepreneurs assemble a team of experts to help manage the administrative side of their business. “That team should include an attorney, a banker and a CPA who can counsel you as your business starts and grows,” he said. Tomasic said it also is important for entrepreneurs to follow their passion but be diligent about doing their research. Tomasic said having a plan ensures entrepreneurs have thought out how to be successful as they start their business. Relationship building is important for long-term success, said Chris Campbell, senior partner in lending at Centier. “We know that if we have that strong relationship as the foundation, we’ll be able to always have a high-service quality,” he said. Consistency of quality service has been part of McMahon & Associates CPAs of Munster since its beginnings. Understanding customers’ needs and evolving with them can go a long way, according to Chip Miceli, CEO of Pulse Technology of Indiana in Chesterton. 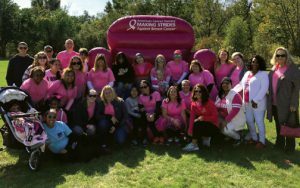 Craig Dwight, CEO of Michigan City-based Horizon Bank, said for all businesses, regardless of size, happy and engaged employees are the key to success. When you operate in a competitive industry, Anthony Lopez, general manager of White Hawk Country Club in Crown Point, understands how good service can make a lasting impression. 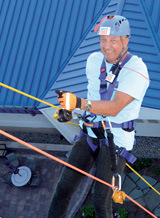 This means he and his staff regularly review new trends within the industry. Recognizing the human side of health care ensures all patients who seek care from Franciscan Health are treated in a kind, considerate and connected manner, said Dr. Daniel McCormick, president and CEO of Franciscan Health Crown Point. McCormick said his hospital has grown significantly through the years and continues to expand. 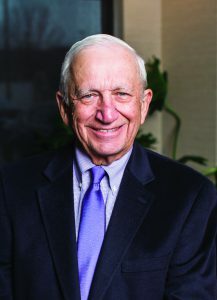 “Our health care delivery system continues to grow to provide the type of care and the level of care expected by today’s consumer of health care and is always evolving to meet these demands,” he said. Patrick Maloney, president CEO of Franciscan Health Dyer, Hammond and Munster, said being diligent about operations hasn’t affected innovation. John LaDue with SouthBank Legal: LaDue, Curran, Kuehn in South Bend said the firm’s strategy of focusing on high-quality legal work and counseling for clients, taking care of staff and protecting the company’s culture all factor into the company’s success. 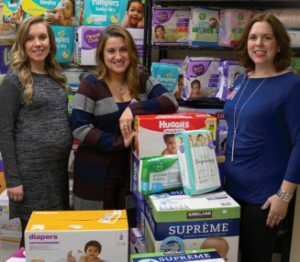 “We want to help our clients grow their businesses, and in turn, we continue to grow our firm,” LaDue said. “This focus requires continuous improvement, creativity, agility and teamwork—both internal teamwork and collaboration with our clients. Ensuring work quality is preserved also means maintaining a positive and healthy work environment for staff.